An ill-fitting roster. A public trade saga. A coach walking a tightrope. 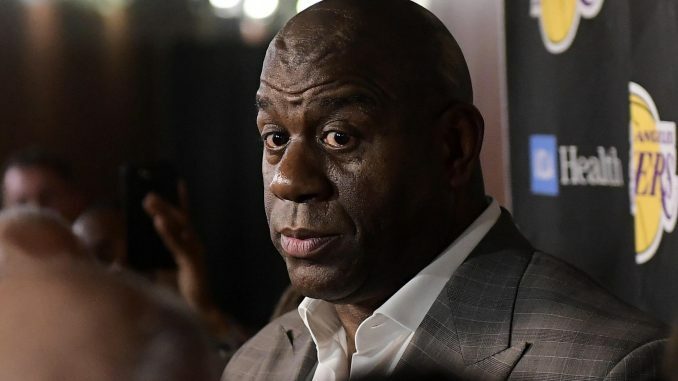 Los Angeles Lakers’ turbulent season took another turn on Tuesday as Magic Johnson announced his resignation in an impromptu press conference. Johnson had not told his ‘sister’ Jeanie Buss of his intention to leave his role. The Hall of Famer spoke of how he felt restricted in the job, and was frustrated with the tampering rules. Luke Walton‘s future takes another turn with this news. Johnson had not exactly been supportive of him this season, and it was expected Walton would be replaced in the offseason. Johnson touched on this in his press conference, leaving the Lakers in a limbo once again. This news followed a few hours after ESPN’s Ramona Shelburne told The Jump ‘haven’t spoken in weeks’. There was something very fitting about the mayhem of Tuesday. Adam Levine played a birthday basketball game in Staples Center. The season ended with a buzzer-beating loss. Magic Johnson, the face of the Lakers, quit his job publicly before telling Lakers owner and good friend Jeanie Buss. It was as chaotic as the Lakers’ season, mixing the shocking with the bizarre. The Lakers are at a crossroads. No one knows who the coach will be next season, no one even knows what the roster will look like. LeBron James and Buss are the two certainties (though speculation of a LeBron trade will be all over the internet). Johnson and Rob Pelinka were meant to be the core of the organisation with James and Buss. 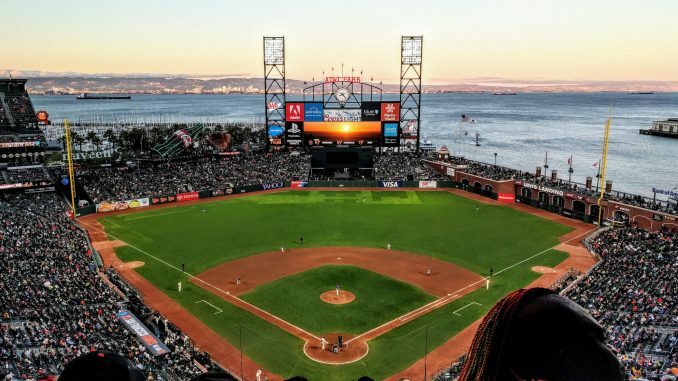 The pair constructed a widely criticised roster and struck out as they hunted for star power, but they were readying for a Hollywood offseason. Pelinka’s future now has a question mark like Walton’s. It’s unpredictable, it’s chaos, and it’s ultimately been a mess of a season for the Lakers. What seemed like a realistic prospect of a deep playoff run when James signed last summer are no more than a hazy memory. The Lakers have suffered setbacks aplenty, some of their own making and others through misfortune, but Johnson’s retirement is as situation-altering as any outside of James’ Christmas Day injury. NBA eyes will be on postseason basketball without LeBron for the first time in years. After that, though, the Lakers will have all the attention again as they regroup after a challenging season and Johnson’s shock departure.